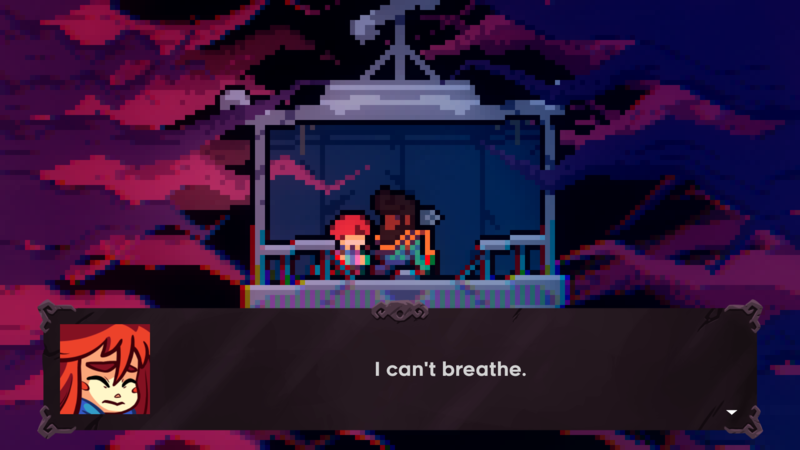 As they accepted their respective honors at the GDC and IGF Awards last week, the winners would be forgiven for having only their triumphs on their minds. But that didn't stop them from considering their role in changing the industry's future. GamesIndustry.biz spoke to a number of the award winners backstage following the event, asking the numerous independent developers about changes they wanted to see to help uplift and support small studios like their own, and asking both winners and hosts about the greatest challenges they felt the gaming industry would face in the coming years. "We won an award over God of War! How did that happen?" "There's a lot of support happening right now; honestly, more than there was, let's say, three years ago," Regamey said. "We won an award over God of War! How did that happen?" Raine added: "We've been nominated in the same category as all these huge AAA titles, and to actually win something like that is an amazing message to independent developers that we're all making games. Budget doesn't necessarily matter. You are all creating the art that you want to create, and the more acceptance there is on a broad scale for all the creators -- if there's not just an independent award that is where all the independent creators go -- then that challenges not only the independent creators but the AAA creators as well." Lucas Pope, winner of the Seamus McNally Grand Prize at the IGF and the GDC Award for Best Narrative for Return of the Obra Dinn, had a similar view. "Indie games are in a good spot," he said. "We have a real diversity of people. It's easier now to make games than ever and there are places where people can get their games to people to play them. The only thing I want is no disruption with that. I want it to be clear that games are for everyone to make and for everyone to play." But plenty of other independent developers had specific ideas of areas they wanted to see improve. Cassie McQuater, who won the Nuovo Award for Black Room, wanted to see, "more women, more people of color, more people of backgrounds other than white men making games, winning awards, and getting acknowledgement." "I would like to see the games industry start to attract more people from other disciplines," Zheng said. "What if an architect were to design a game? What if an industrial designer like myself were to design a game? How would that change the way games are made?" "What if an architect or industrial designer were to design a game? How would that change the way games are made?" Multiple developers also mentioned struggles with money. Ian Lilley, who won the Excellence in Visual Art Award for Mirror Drop, said he struggled to make money even with that winning title, but didn't know how to improve the situation for developers like him. As far as solutions went, multiple winners suggested that GDC might be held somewhere else in future years. "We could maybe make GDC more global," said Vladimír Hrinčár of Beat Games, which won both the GDC Award for Best VR/AR Game and the Audience Award for Beat Saber. "We came from Czech Republic, and it's really hard for us to come across the ocean to the United States, which has most events. I would like to see more events on our side [of the Atlantic,] maybe in other regions; Africa, Australia, Asia, and so on." Nicolás Recabarren of Nonsense Arts, which won the IGF Audience Choice Award for Ethereal, agreed. "We are from Argentina, so we're from a very far away, third-world place. It's very difficult for us to come here, and we really need to come here," he said. "We need to talk to publishers. We need to get in touch with people. Everything happens here, and it's very expensive for us. We can do it online, but it's not the same connection. "That's something we need to work on, maybe with the thing Rami [Ismail] is making, [Gamedev.world], I think that could have a very good impact, because we can't do this every year." Another suggestion was a popular topic once more at GDC this year: unions. Both Jessica Harvey and Chris Brown of Arbitrary Metric, which won the IGF Best Audio Award for Paratopic, immediately replied "unionization" when asked what would improve the industry for indies. Matthew Burns, accepting the Excellence in Design Award for Opus Magnum alongside Zach Barth, also mentioned unionization as a gateway to getting independent developers needed healthcare. "Having healthcare would be awesome," he said. "One way people have been talking about ensuring healthcare for developers is by forming a union. That's definitely something I'm interested to hear more about and think about. I think it's really exciting. I've worked in games for quite awhile and it really feels like there's change on the horizon." 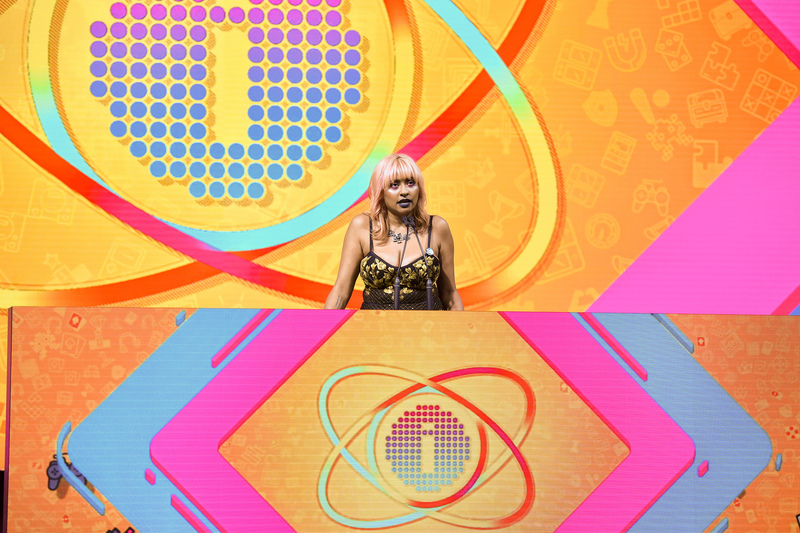 "I've worked in games for quite awhile and it really feels like there's change on the horizon"
IGF Awards host and developer of 80 Days Meg Jayanth also had a lot to say about unions after the show, following her powerful opening speech. "One of the things we know is that the culture of crunch means if you happen to be a primary care-giver -- and that's most likely to be a woman -- that's impossible for you to manage work in a studio and being that for a kid or ill parent. Most of us are just one chronic illness or mishap away from not being able to sustain this life, and I would like that to change. I want us to retain and respect the people in the industry and for us to have a future beyond this. We are bleeding talent. I can understand why." Others outside of independent development who either accepted or presented awards last week also offered insight on the direction of the industry. Senior director of localization for Nintendo of America Nate Bihldorff, accepting the Innovation Award for the Nintendo Labo, said he saw Google's Stadia announcement as a herald of the biggest challenge the industry would face in the coming years. "How do we manage all the different ways people can consume media?" he asked. "There's no one perfect solution. I think there are awesome things about console gaming, there are awesome things about streaming, there are a million ways you can enjoy games. I've got games in my pocket right now. I could be playing it as I walk back to my seat. "How do we keep people from being overworked? how do we keep people happy and thriving in this industry we all love so much?" "How do we reconcile that not only with a business model that works and keeps the business going and the industry solvent, but also takes care of some of the issues we've seen brought up today? How do we keep people from being overworked? How do we keep people happy and thriving in this industry we all love so much? That's a very complex issue that I don't think has an easy answer." "The advent of streaming and 5G, which is going to be happening in the next two to five years, is going to disrupt everything," she said. "It's going to disrupt our business models, it's going to disrupt the culture of gaming, the content we make. Companies that have AAA exclusives because they're selling hardware, that's not going to be a thing anymore. It's going to transform our phones - everything's going to change. "The biggest challenge is being ready and open to that change. You see some companies are a little more ahead than others in terms of trying to think about the future. That's going to come faster than we think." Finally, a few winners responded that increasing toxicity in the industry would be its greatest challenge to come. Justin Ma, accepting the Best Design Award for Into the Breach, expressed hope that the industry could work as a whole to dispel, "rising amounts of hate and discord." Adrián Cuevas, representing Nomada Studios for Gris along with Roger Mendoza, said he too was hopeful as gaming is still a "fresh industry" that could, "do things better from the beginning, or should." GDC Awards host Tim Schafer also doubled down on the topic after his own remarks at the podium. "No one wants to be the heavy and come down and control those spaces in games," he said. "But I think that some things are just intolerable and we should make sure they don't exist in our spaces and that we drive them out." That's a good point. It is very hard and expensive for us coming from outside the US, and yet GDC is hosted in a very expensive city. "You are welcome as long as you can afford to come". The same discussions and issues seem to brought up year after year for at least the last 10yrs or more. So many “how’s” but very few solutions or plans. Actions always speak louder than words but in the games/entertainment industry money speaks louder than anything else! I look forward to hearing the same disscusions again next year I would hardly say the industry is fresh I believe it’s pretty smelly for many.